2. 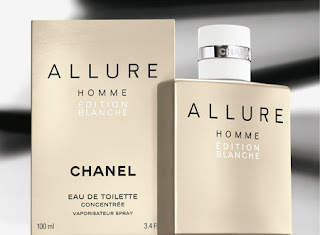 Chanel Allure Homme Editon Blance: A hot/cold alchemy that is expressed in the design of the bottle with its combination of polar white and solar bronze.The first level brings spicy aromas of black pepper united with pink pepper from Madagascar. The second level brings in fresh aromas with the scent of leather, Sicilian lemon, Calabrian bergamot, and sandalwood which gives it a depth. 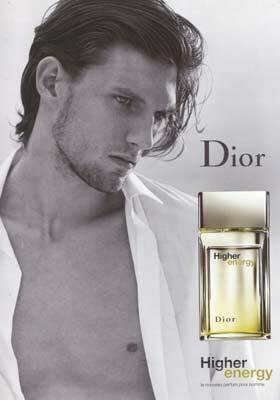 The third level introduces oriental accords with Brazilian Tonka, white musk, Haiti vetiver and sandal wood. This level also reveals aromas of ginger and velvety vanilla wrapped in amber. 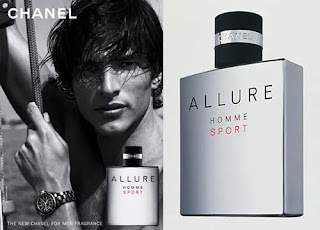 The fourth level brings woodsy accords of cedar wood which add to the masculine character of this fragrance. 3. Bleu de Chanel: Composed by Jacques Polge, the Creator of CHANEL Fragrances, BLEU DE CHANEL reveals itself in three acts. ACT 1 - Freshness: A spirited burst of freshness ripples across the skin. A sense of liberating well-being is released. Citrus accord, Vetiver, Pink pepper. ACT 2 - Energy: A rush of explosive energy galvanises the senses. The taste for action is electrifying. A positive current of vitality takes over.Grapefruit, Dry Cedar notes, Labdanum. ACT 3 - The senses: The body gains an untouchable confidence, embracing a masculinity that is enigmatic, irresistible, impenetrable. Frankincense, Ginger, Sandalwood. 4. 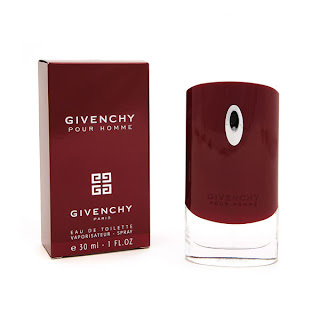 Givenchy pour homme : Este diafan, racoritor, luxuriant si fresh, dar in aceeasi masura senzual, dulce si hipnotic. Note: Bergamot, Grapefruit,Piper, Tangerine, Davana, Cardamom, Vetiver. 5. Dior Higher Energy : Energic si senzual, Higher Energy este un parfum masculin fresh, cu o aroma glaciara de ienupar si grapefruit, condimentat cu nucsoara, piper negru si tamaie, domolit cu mosc si lemn de santal.